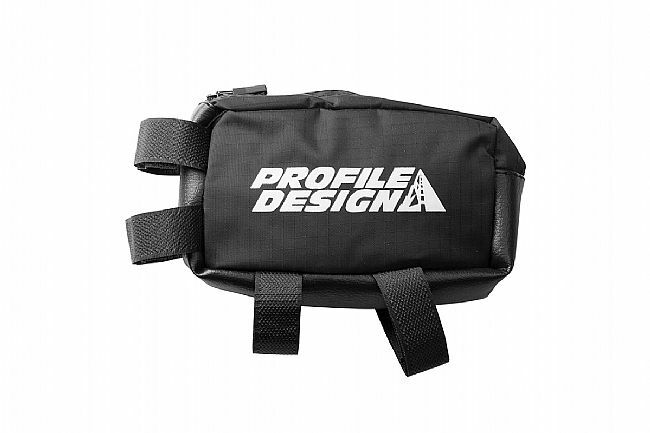 Profile Design’s Nylon Zippered E-Pack is a top-tube mounted storage pack that attaches directly behind the bike’s stem. It's made from nylon and features two zippered compartments -- one exterior and one interior. The sides are padded so the pack retains its shape regardless of its contents. Zippered compartments: 1 interior; 1 exterior. Mounts to top tube behind stem. Multiple sizes available (see drop down menu). Dimensions: 120 x 90 x 35mm (Size L); 120 x 70 x 35mm (Size S). Weight: 45g (Size L); 40g (Size S).